What Does Car Insurance Cover in Canada? Car insurance in Canada covers property damages, injuries, and liabilities caused in an accident. Auto owners try to compare, match coverage and prices and no one wants any compromise in their policy. Now that you have finally chosen a car you would like to own, you may also do some shopping for your car insurance. Choosing the coverage level that is not too less or more for the best price is tough in Ontario. The insurance industry in Ontario is abuzz with tons of options and the confusion about claims and coverage increases too. There are many questions regarding car insurance in Canada and different claims scenarios that are tricky. 1 How Does Car Insurance Coverage Work? 2 How Much Do Car Insurance Cover In An Accident? 3 Do Car Insurance Cover The Driver Or The Car? 4 What Do Car Insurance Cover And Don’t Cover In Canada? 5 Can You Claim For Theft Or Stolen Car Under Car Insurance? 6 Will Your Car Insurance Cover Other Drivers? 7 Will Your Car Insurance Cover Vandalism? 8 Do Car Insurance Cover Hail Damage? 9 Do Car Insurance Cover Repairs? 10 Do Car Insurance Cover Flood Damage? 11 Do Car Insurance Cover Rentals? 12 Do Car Insurance Cover Engine Failure? 13 Do Car Insurance Cover Towing? 14 Do Car Insurance Cover Mechanical Failure? 15 Do Car Insurance Cover Broken Windows? 16 Do Car Insurance Cover Death? 17 Do Car Insurance Cover Windshield Replacement? 18 Do Car Insurance Cover Weather Related Accidents? 19 Do Car Insurance Cover Electrical Fires? 20 Do Car Insurance Cover Engine Problems? 21 Do Car Insurance Cover Engine Fire? 22 Do Car Insurance Cover Rat or Rodent Damage? 23 Do Car Insurance Cover Theft Of Personal Items Or Jewelry In Car? 24 Do Car Insurance Cover Your Medical Or Hospital Bills? 25 Do Car Insurance Cover U-Haul? 26 Do Car Insurance Cover Injuries? 27 Do Car Insurance Cover Ice Damage? 28 Do Car Insurance Cover Accidental Damage? 29 Do Car Insurance Cover Scratches And Dents? 30 Do Car Insurance Cover Slashed Flat Tires? 31 Do Car Insurance Cover Damage To Property? 32 Do Car Insurance Cover Drunk Driving Accidents? 33 Do Car Insurance Cover Garage Door? 34 Do Car Insurance Cover Hitting A Dog? 35 Do Car Insurance Cover Lost Key Replacement? 36 Do Car Insurance Cover Battery Replacement? 37 Do Car Insurance Cover Break-Ins? 38 Do Car Insurance Cover Negligence? 39 Do Car Insurance Cover Natural Disasters? 40 Do Car Insurance Cover Maintenance? How Does Car Insurance Coverage Work? All motorists must have valid standard auto insurance in order to drive in Ontario. It is the law. Standard auto insurance includes third party liability, DC-PD, Uninsured Automobile coverage and Statutory Accident Benefits coverage. You may also purchase optional coverage. Ontario has a no-fault system, so you may claim for the damages from your insurer. If you get caught driving without insurance then you may definitely regret it. You may pay heavy fines and they may also impound your vehicle and suspend the driving license. How Much Do Car Insurance Cover In An Accident? When you are in an accident and file a claim on your car insurance then they will look into who was at fault for the accident. They will settle your claim amount as per your portion of fault in the accident. Your insurer also looks at the coverage type you have on your policy. To know the claims process and how much you may claim for your accident, you may speak with your claims adjuster. They will explain the claims process, your coverage, and deductibles for the claims as per your policy. Do Car Insurance Cover The Driver Or The Car? In the event of an accident, car insurance will provide coverage to the car, driver, other road users, passengers, pedestrians and property involved. However, there could be some exceptions in certain scenarios. If you let a household person drive your car without listing them on your policy then they may not cover you. You need to notify and list all drivers who use your car, even if they don’t live with you. Also, if someone drives your car without seeking your permission and they get into an accident then they may not cover your claim. If a thief drives your car after stealing it then they may not cover him but you may claim for theft if you have comprehensive. Apart from these situations, every car insurance policy may have a list of exclusions to look out for. These may include drivers with license suspension, exceeding the number of passengers and using the personal car for business purpose etc. What Do Car Insurance Cover And Don’t Cover In Canada? Standard car insurance in Canada will cover uninsured benefits, DC-PD coverage, third party liability and statutory accident benefits along with any optional coverage. Your coverage levels and policy limits will determine your extent of insurance coverage. These are outlined clearly in your policy as well as any exclusion that may not be covered too. The personal property in your car may be covered for the minimum limit. So if any valuables are stolen from your car then that may not be covered by your policy. If you have modified your car with aftermarket parts you may not be covered unless you notify your insurer beforehand. Your policy has to be amended to reflect any modifications to your car that changes its value. Can You Claim For Theft Or Stolen Car Under Car Insurance? If you have only the standard car insurance coverage then you may not be covered if someone steals your car. In order to successfully claim for theft of your car, you need to add comprehensive or all perils coverage for theft to the insurance policy. Just the basic coverage is not enough to claim for a car theft. Will Your Car Insurance Cover Other Drivers? In most cases, car insurance covers other drivers who drive your car with your permission. However, you may have to list that driver on your policy. If a household member or relative regularly uses your car then it is your obligation to list them on your policy. When the other driver has their own insurance policy then when they get into an accident the claim will be made on their policy. In case someone not listed on your policy drives your car and gets into an accident then their insurance could be claimed. So, if your policy has excluded a high-risk driver from driving your car then you may not claim for an accident that they cause. Also, if your car is stolen then that thief is not covered by your insurance policy. Your basic car insurance may not cover vandalism and you need to purchase comprehensive coverage too. Some common vandalism acts could include breaking windshields, keyed cars, smashing headlights etc. In order to claim for vandalism, you may also report to the police as it needs to be documented. When you file a claim your insurance company may ask you some questions. Time and date of the vandalism, the location of your car, where was the vandalism damage on the car and if you suspect anyone for the vandalism. At the same time, your insurer may also look into if there is any fraudulent claim. They would want to ensure that you played no role in vandalizing your car for the claim. Do Car Insurance Cover Hail Damage? If you have only the basic car insurance then you may not be covered for hail damage. You need to purchase additional comprehensive coverage to get cover for any hail damage. Sometimes hail could cause minor damages such as a small dent but it may also cause extensive damages to the car. Do Car Insurance Cover Repairs? 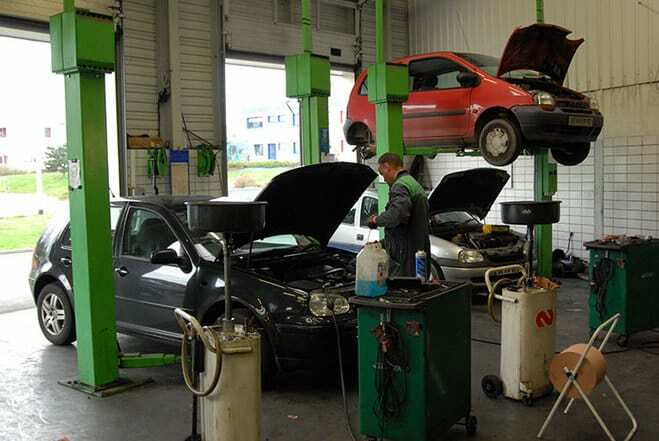 When your car needs repairs due to wear and tear then you may not claim for the cost of those repairs. Your car insurance pays for repairs if your car is damaged due an accident. In order to make a claim for repairs due to damage, you need to have collision or comprehensive coverage. If your lack of care and maintenance causes any mechanical damage or failure then your insurance may not pay for the repairs. And, if you are not at fault for an accident then you may claim for car repair costs under the other driver’s third party liability coverage. If the other driver does not have insurance then uninsured motorists benefit under your policy could help to cover the repairs. But this may not have a higher policy limit and you may claim the shortfall on your collision coverage. A falling object or a sudden damage to your car may need repairs and for that, you need comprehensive coverage. Do Car Insurance Cover Flood Damage? Flood damage may cause extensive damage to your car and totally destroy it. You may not be able to claim for flood damage to your car if you have only the basic coverage. In order to claim for flood damage, you need to have comprehensive coverage. Especially, if you live in a flood- risk zone then you may ensure that it is not excluded on your policy. Take many pictures to document the damage if possible when your car is submerged including the license plate. If the windows are damaged then you may tape some plastic or cardboard to cover the holes. Keep all your receipts as you may include that in your claim too. Don’t start your car or turn on the engine when it has been submerged as it causes more damage. You may look at the air filter under the car hood to check if there is wetness in the filter and do not start the engine. Do Car Insurance Cover Rentals? Most often your car insurance would also cover any rentals when you have the OPCF 27 endorsement on your policy. This gives additional coverage for any liability damage due to a rental car. It is also known as the Rental Vehicle Insurance Endorsement. Sometimes, your policy may automatically include the OPCF 27 and you need not worry. You may also note that the OPCF 27 endorsement can be used to claim when the car rental agreement mentions your name as the policyholder. It has a reasonable cost to add to your policy but totally worth if you rent cars often. The collision damage waiver sold by the car rental could be more expensive than your cost for adding OPCF 27. Also, in the case of an accident of a rental car with you at fault for more than 25%, that accident will count on your driving record, no matter who pays for the damage. Do Car Insurance Cover Engine Failure? Standard car insurance may not cover engine failure due to wear and tear. Your car insurance may cover engine failure if it is due to an accident and you have collision coverage. An accident is sudden and colliding with another car or an object may damage the engines and hence you need collision coverage to claim for that. If you hit road debris that flies and damages the engine then you may claim under your comprehensive coverage. For an engine failure due to a falling object, you must have the comprehensive coverage and not just basic insurance. Also, if fire, theft or explosion damages the engine then you may claim under comprehensive cover. In such cases, you may have to prove to your insurer that the engine failure was directly caused by the comprehensive peril. It is a good idea to keep all your records of maintenance up to date. You may also claim under your car manufacturer warranty if it applies or mechanical breakdown endorsement from your insurer. Do Car Insurance Cover Towing? When you have collision coverage then your insurance may cover towing expenses if your car is damaged in an accident. They may not automatically include it in your policy, so it is a good idea to check your policy details. Or, if you have comprehensive coverage then your policy may insure for towing expenses too. If you have roadside assistance coverage on your policy then you may claim for towing expenses. This applies if you get locked out of your car, battery dies or the gas runs out. Quite often you may decline road assistance coverage from your insurer as you are an auto club member. Do Car Insurance Cover Mechanical Failure? Usually, your basic car insurance may not cover any mechanical failure due to lack of maintenance or wear and tear. If your car has a mechanical failure due to an accident then you may claim for it under your collision cover. In case the mechanical failure is caused by an insured peril under comprehensive package then that could be covered. Do Car Insurance Cover Broken Windows? Your car insurance may cover for broken windows only if you have additional coverage such as collision or comprehensive and not just standard. If the windows are broken in an accident then you may claim under collision coverage. When the windows are broken due to an impact not related to collision then you may claim under comprehensive coverage. However, it may be a good idea to know if your repair estimate is less than your deductible amount and then file a claim. You may not want to claim on cracked or chipped windows for $400 and pay a $1000 deductible. Do Car Insurance Cover Death? Car insurance may provide death benefits only when the cause of death is a result of a car accident and there are no specified exclusions. In Ontario, it is mandatory to purchase the Statutory Accident Benefits as part of the standard policy. This coverage pays for death benefits and funeral expenses. They may pay specific claim amounts as per the policy coverage and the relation of the beneficiary and deceased. You may also purchase additional coverage for higher limits of death benefits. The Statutory Accident Benefits Schedule has the benefits list as per insurance regulations in Ontario. Since Ontario has a no-fault system, the death benefit claims do not depend on who was at fault for the accident. Under this coverage, you may claim for death benefits if the insured dies within 180 days or 156 weeks, during which he/she is disabled after the accident. Do Car Insurance Cover Windshield Replacement? If you have comprehensive coverage and not just standard policy then you may claim for replacing the damaged windshield. Comprehensive coverage usually includes glass coverage too unless excluded due to repetitive glass damage claims. You may get a chip on your windshield that you ignore which may cause extensive damage later and is unsafe. Many times timely repairs may prevent a full windshield replacement. Do Car Insurance Cover Weather Related Accidents? Most car insurance provides cover for accidents caused due to bad weather, especially when you were driving with due diligence and safety. However, you may not claim for damages due to bad weather when you are not driving unless you have comprehensive coverage. If you are found negligent in driving during bad weather then they may not cover you. You may not blame weather conditions if you did not drive responsibly and hence your insurer may not cover you. Do Car Insurance Cover Electrical Fires? Your car insurance may cover damages caused due to electric fires only if your comprehensive coverage specifically covers electric fire. If an insured peril under your car insurance did not cause the electric fire then they may not cover it. Do Car Insurance Cover Engine Problems? Your car insurance may not cover engine problems due to mechanical failure or wear and tear. The car engine is one of the most expensive parts in your car and any damage or breakdown may be covered by an extended warranty. If a collision damages the engine then it might be covered under the collision coverage. If water, fire or vandalism causes engine problems then you may claim for those under comprehensive coverage. Do Car Insurance Cover Engine Fire? Your car insurance may cover engine fire if you have comprehensive coverage and there is no specific exclusion. It is possible for the engine to catch fire due to sudden mechanical failure or breakdown, but it may be covered for fire damages under comprehensive. If the engine catches fire due to an accident then it might be covered under collision or comprehensive coverage. Do Car Insurance Cover Rat or Rodent Damage? Any damage caused due to a rat or rodent may be covered under comprehensive coverage as it is for damages caused other than by collision. So, if a rodent chews the wiring or tears apart upholstery then you may not claim if you have only basic insurance. Do Car Insurance Cover Theft Of Personal Items Or Jewelry In Car? Most likely car insurance may cover if someone steals your personal contents from your car under comprehensive coverage. But they may cover for small limits and not adequate for valuables when you compare to the value of the stolen item. You may also check for any exclusion on your policy regarding the coverage. Do Car Insurance Cover Your Medical Or Hospital Bills? In Ontario, there is a no-fault insurance system for automobiles. This means that no matter who is at fault for the accident, you may file a claim with your insurer. The statutory accident benefits coverage on your policy will cover the medical expenses. You may also ask the Ministry of health and long-term care to fund the medical expenses due to an accident for personal support, homemaking and attendant care. When the Ministry covers your medical expenses that your car insurance could also cover, they seek a reimbursement from them. You may inform your insurer about the accident within 7 days and they will send you the accident benefits claim form. After you submit this form within 30 days of the accident, your insurer may cover your medical bills and rehabilitation expenses. Do Car Insurance Cover U-Haul? Quite often your car insurance may not provide cover for U-Haul trucks and trailers even if they cover rental cars. Most auto insurance policies may not cover vehicles with a gross weight more than 9000 pounds. You may purchase the OPCF 27 endorsement for covering rental vehicles. However, not for vehicles more than 4500 kg, so the option would be to purchase rental coverage from U-Haul. Do Car Insurance Cover Injuries? Yes, car insurance covers injuries due to an auto accident under the Statutory Accident Benefits coverage. As there is a no-fault insurance system in Ontario, it does not matter who is at fault. You may claim for injuries caused to others under your third party liability coverage. The minimum limit you may carry for the liability coverage is $200,000 but you may purchase a higher limit. Do Car Insurance Cover Ice Damage? You may claim for damages due to ice falling on your car if you have purchased comprehensive coverage. This also includes icicles during a snow storm, tree branches with heavy snow etc. However, if your car skid on ice and hit the curb or another car then you may claim for the damages under collision. Do Car Insurance Cover Accidental Damage? If you accidentally damage someone else’s property or cause injury then you may claim under third party liability coverage. This liability coverage is mandatory in Ontario for a minimum of at least $200000 and you may purchase a higher limit. Do Car Insurance Cover Scratches And Dents? If an accident causes scratches and dents then you may claim under your car insurance as per your optional coverage. When someone vandalizes your car causing scratches then you may claim under comprehensive coverage. Also, if a tree branch falls on your car and causes scratches and dents then you may claim under comprehensive. However, if your car scrapes on branches, a pole or a mailbox while driving then you may claim under collision. Before you claim you may also look at the deductible and decide if it is worth claiming or not. Do Car Insurance Cover Slashed Flat Tires? When someone slashes your tires and make it flat then it is vandalism and you may claim under your comprehensive coverage. You may have to report this to the police too. However, when you look at the deductible and the depreciated value of the slashed flat tire it may not be worth to claim. Do Car Insurance Cover Damage To Property? Car insurance covers damage caused by the vehicle to someone else’s property under the third party liability protection coverage. Do Car Insurance Cover Drunk Driving Accidents? Most often if you cause an accident while driving under influence of alcohol your insurance may dispute and not cover you. Especially, a novice driver may not have any alcohol content while driving. They may convict you and your insurer may cancel your coverage or increase your premiums drastically. Sometimes when you drink heavily in the evening then you may still have some alcohol content the following morning. If you drive and cause an accident then your policy may not cover if they find more than the permitted BAC level. Do Car Insurance Cover Garage Door? No, your car insurance may not cover your garage door but your home insurance may cover it. Your garage door is part of your outbuildings but not your car. Do Car Insurance Cover Hitting A Dog? If you hit someone’s dog on the road and damaged your car then you may claim for those under your comprehensive coverage. However, your insurer may try to subrogate or try to recover the losses from the dog’s owner. In case you do not have comprehensive coverage then you may claim from the dog’s owner under liability protection. In this scenario, the dog’s owner is considered at fault since it should not have been on the road. Now, if you hit your dog with your car then you may claim for the damages under your collision coverage. Do Car Insurance Cover Lost Key Replacement? Your car insurance may cover the expenses for replacing a lost key only if you have a special rider on the policy. However, someone steals your car keys then you may claim for theft under your comprehensive coverage. You may claim for the cost of replacing the ignition and door keys and the cost for re-keying the car. Do Car Insurance Cover Battery Replacement? You may claim for replacing battery your car insurance only if an accident damaged the battery. If you have road assistance coverage on the policy then you may claim for replacing the battery. Do Car Insurance Cover Break-Ins? If you are a victim of a break-in then you may claim for theft under your comprehensive coverage. This may include damage due to a break-in such as broken windows, damaged locks, and ignition system. However, you may need to check your policy to confirm the policy limits on whether it would cover any stolen contents. Do Car Insurance Cover Negligence? When you drive negligently and cause an accident, your car insurance may cover for damages as Ontario has a no-fault insurance system. Your accident victim could sue you for pain and suffering or loss of employment. In this case, you may claim under third party liability protection coverage. Do Car Insurance Cover Natural Disasters? You may claim for damages to your car due to natural disasters if you have the comprehensive coverage. These may include damages due to flood, tornadoes, hail, hurricanes, storms, hail etc. Do Car Insurance Cover Maintenance? Your car insurance may not cover routine maintenance of your car. However, if an insured peril damaged your car then you may claim for the repairs. 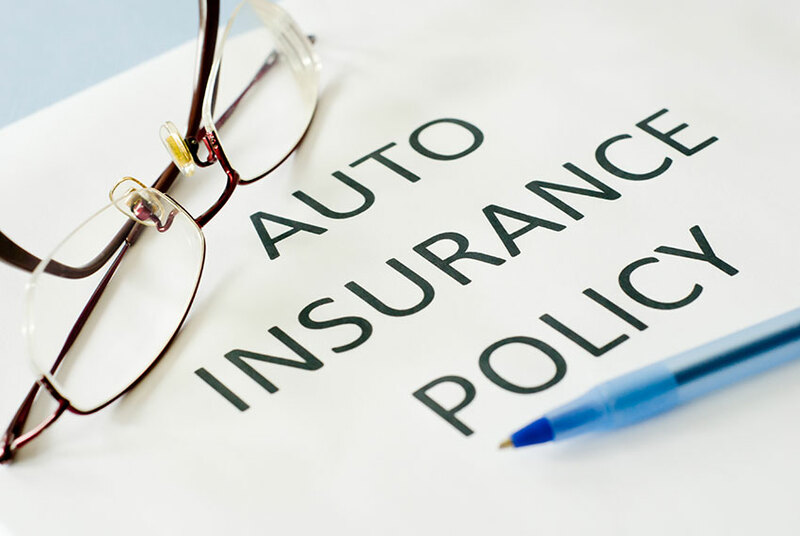 All car insurance policies exclude any maintenance due to wear and tear.